Newborn Baby Girl Tutu Skirt/Headdress Set is Perfect For Newborn Baby Girl Pictures! Capture the perfect once-in-a-lifetime pictures of your newborn baby with this baby girl tutu skirt/headdress set from Vermonllas. This newborn baby photography prop is suitable for a baby girl between 1-6 months-old. Attention: Color of the image may differ slightly from finished product. Suitable for 1-6 months baby. 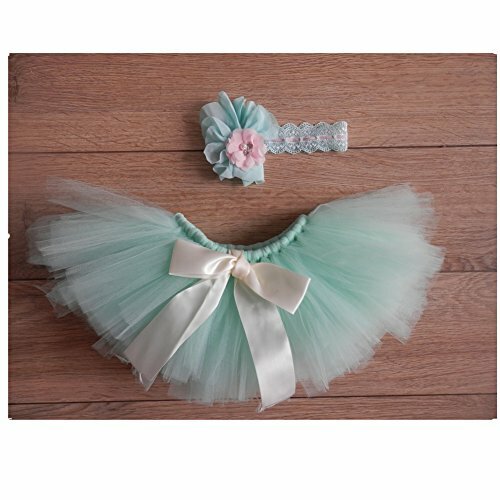 Bring out even more cuteness with this beautiful baby girl tutu skirt/headdress set. Perfect prop for newborn photography session. Vemonllas is a Register United States Trademark. Will is a nonprofit professional and web developer, SigEp alumnus who holds a Masters in Public Administration from George Mason Unviersity living in Reno, Nevada. He was fortunate enough to work with many Congressional offices on Capitol Hill and nationally recognized nonprofits in Washington, DC at their national offices to manage their email marketing, online fundraising and online advocacy and grassroots campaigns as well as their social media and web presence. He is passionate about designing websites like this one and working with nonprofit organizations through Blackbaud to help make the world a better place. Along with Christine, his wife, he has three children. He enjoys literature on philosophy and political thought, video games, and snowboarding in the Sierra Nevada mountains. Learn more about Will at WillHull.com or check out his other sites, Windy Pinwheel and Hullabaloo Stories.